We are having record highs here in the Dallas area, and whew...we must quickly eat these Millionaire Bars before they melt. I did make a fresh pitcher of iced tea, and I'll pour you some. I had to borrow my basket from my coffee table because the high temperatures have been hard on my flowers. 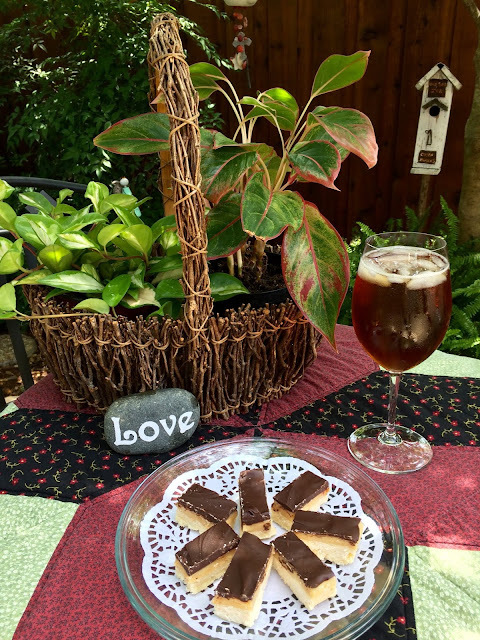 The kids and I were excited to try this recipe for twix-like bars, and they didn't disappoint. They learned how to make shortbread, and homemade caramel, and to use a thermometer. We also took a field trip to Carlo's Bake Shop (of Cake Boss fame). I had a gift card that a dear friend had given me, and I thought it would be fun to share with my sweet grands that come to my cooking camp. 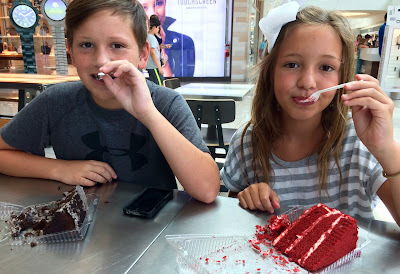 Caiden chose cookies and cream cake, and Cissy chose red velvet. They only ate part, and took the rest home. Here's my sweet fairy garden, that I had to spiffy up. At least it looks cool and refreshing. I used to be able to enjoy sitting on this sectional every evening, before the record high's barreled in. Hopefully, I'll be back out there again soon. Right now about all I do is go out and water and then head back to the A/C. The recipe called for unsalted butter and then added salt. We used salted butter, and left out the salt. We're tricky like that! If you like Twix Bars, you'll love these! Make the shortbread layer: Heat oven to 325 degrees. Line an 8-inch square baking pan with parchment paper, leaving a 2-inch overhang on two sides. In a large bowl, beat together butter and sugar with an electric mixer on medium until fluffy, about 2 minutes. Add flour and salt, and beat on low just until the mixture is evenly combined and the texture of coarse sand. Tip mixture into prepared pan, and press down firmly into an even layer. Bake until top is dry and light golden brown, 30 to 35 minutes. Transfer to a rack to cool. Make the caramel layer: In a medium saucepan, combine condensed milk, butter, Golden Syrup and salt. Cook mixture over medium heat, stirring constantly with a heatproof spatula, until it has thickened and changed from a milky yellow color to the color of butterscotch pudding, 10 to 20 minutes. It should read 220 degrees to 225 degrees on an instant-read thermometer. Adjust the heat as necessary to keep the bottom from scorching. Stir in vanilla extract. Immediately pour the caramel over the baked crust and spread it into an even layer. Prepare the chocolate: In the microwave or over a double boiler, melt the chocolate in short bursts, stirring often. Spread melted chocolate in an even layer over caramel. Chill until chocolate is set, about 30 minutes. To serve, cut the parchment-free sides away from the pan with a sharp knife, then transfer the shortbread to a cutting board using the parchment overhang. Cut into 32 small bars. Oh you poor things sweltering in that horrendous heat...hope it settles down asap. Oh, yes, I do love a Twix bar. Better pin these so I don’t forget. I love millionaire brownies! YUM! Last month, I purchased a teapot house in hopes of setting up my own fairy garden. 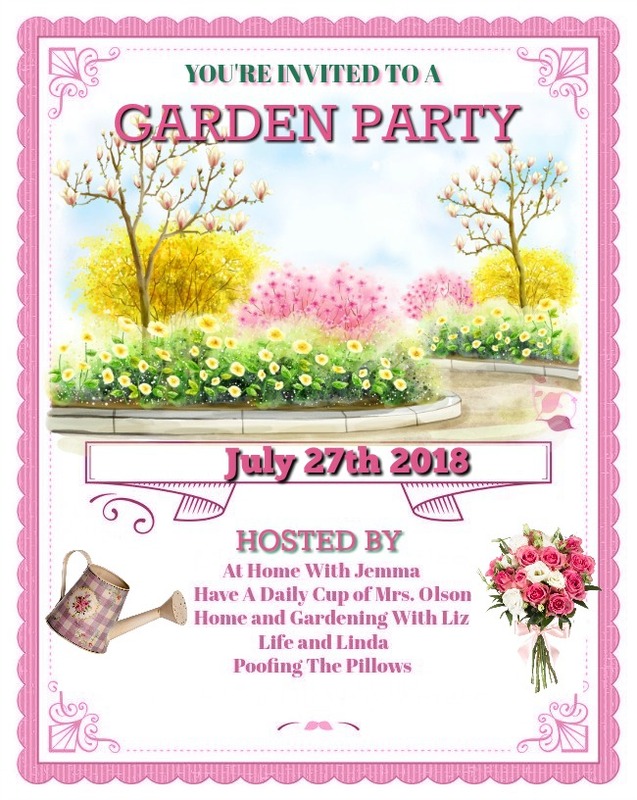 I may have to borrow some ideas from your cute garden. OOOOHH! These DO look yummy but yes, in that TX heat, they wouldn't last long outside . . . nor do YOU apparently haha! YUMMY! Do those ever look wonderful, Kitty. I'm a sucker when it comes to shortbread, just may have to try this recipe. Your Grands look so sweet enjoying their treats and red velvet cake...another favorite of mine that my grandmother made over the years. It' been cooler here today. Your temps have been awful but hoping that has moderated some. Your dessert looks yummy and all the fun doing it together is the important thing. What a cute fairy garden! They look and sound delicious! The extreme heat has kept us from enjoying our evening porch sittings, but am thankful to enjoy early mornings on the porch. Prayers for you to have a break soon, we are getting a break this week. Kitty, your table looks so pretty with the plants and basket. Of course the iced tea and bars look delicious. I'm sure it's fun to take the kiddos to the bake shop. I know you are enjoying these years with the grands teaching them how to bake. They'll never forget all the fun with you! It is so hot here too. The only part of the day I am out on our back is early morning when I water the plants. My chair won't be used until late Sept. or October! How delicious these sound! I've just finished cleaning up dinner dishes and one of those bars would be a perfect treat! It's hot here, too. Good days for staying out of the sun. I hope your temps cool down a bit. We are having rain this week and a rare summer nor'easter last Saturday night. Oh, my, the bars look so yummy! I made some bars the night before last and am enjoying them so much! I am the only one in our household that likes them because they are sugar-free, but I like them real well. Your grands are just adorable, and that outside sectional looks so inviting. It won't be long until autumn will be here, and you will be able to enjoy it again. I hope your Mom is doing better ~ praying for you and sending hugs! I'm sorry it's been so hot there in Texas -- I feel your pain! :) Last summer was terribly hot here for about 60 days straight. Amazingly, it's been much cooler here this year. I love your little fairy garden; it's just charming! I know you must miss sitting outside on your nice sectional, and I hope the weather will soon cool off for you. I love that you spend so much time with your grands and have cooking camp for them in the summer. They will never forget these times, believe me. I still miss my grandparents to this day. The millionaire bars look delish, Kitty! Thank you for sharing another yummy recipe with us. I hope you have a good week, my friend! Oh these do look delicious. I heard more about that sweltering heat just this morning on the news. I pray you get relief soon...and I know what you mean about those outside areas of our homes...it is nearly impossible to enjoy them in the middle of the summer around here too. Thanks for sharing yet another yummy recipe with us...and stay cool, sweet friend! I love the fairy garden you made. It' so nice and fun that you take the grandkids out on the outing to the bakery and than bake with them in your kitchen. You all must have so much fun baking together. Thanks for sharing this recipe at C&C with J&J. Stay cool inside and enjoy the week. Those kiddos are so dang cute! So great that they're learning baking skills even I can't claim! The millionaire bars look great (I love Twix). 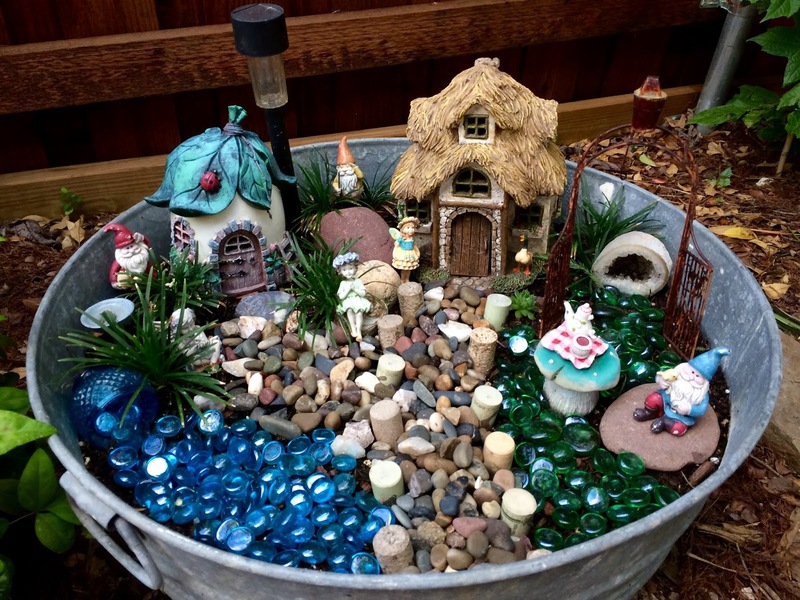 Your little fairy garden certainly does give the impression of cool and comfortable. I completely understand the darting out to water, and back in to cool off, though it's not quite as hot here for any length of time as it is in your region. 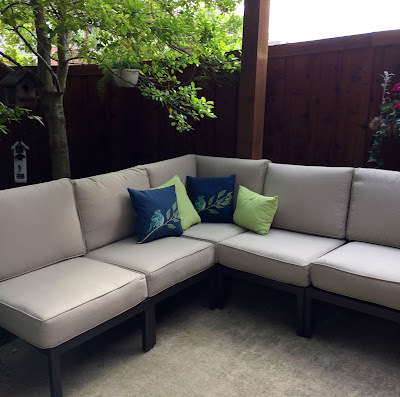 Hopefully, soon, you'll be able to lounge outside again. Fall's right around the corner. Now this does look like a delicious one and know wonder they gave it such a name! Your little garden turned out so cute for the fairies. I am sure they are quite happy there! Thanks for sharing and always we love seeing the grands! 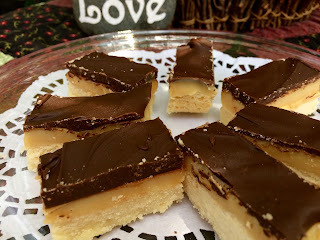 My girls used to love Twix bars in their lunch boxes :) I have to make this for my grands too! Lots of yummy treats in this post. I'd love a slice of red velvet cake! Think Cissy would share? Your millionaire bars sound amazing! The only problem would be making myself stop! Your grandkids are growing up so fast. I love that you get to spend so much time with them. Your fairy garden is darling!! Oh my those millionaire bars look way too good! Love the cute fairy garden. Too bad it’s so uncomfortable to be outside lately I hope it cools off a bit so you can enjoy sitting out there. 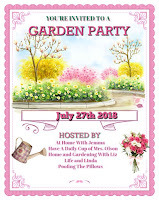 Thanks for joining our Garden Party! Kitty, I'm so happy you do Cooking Camp with Caiden and Cissy. And, of course, you and Cissy are perfectly comfortable making substitutions because you "are professionals" (I always think of Cissy when I hear that word!). :-) Great job on the bars. Hope you can enjoy your lovely patio again soon. I think the whole country is having a heatwave. 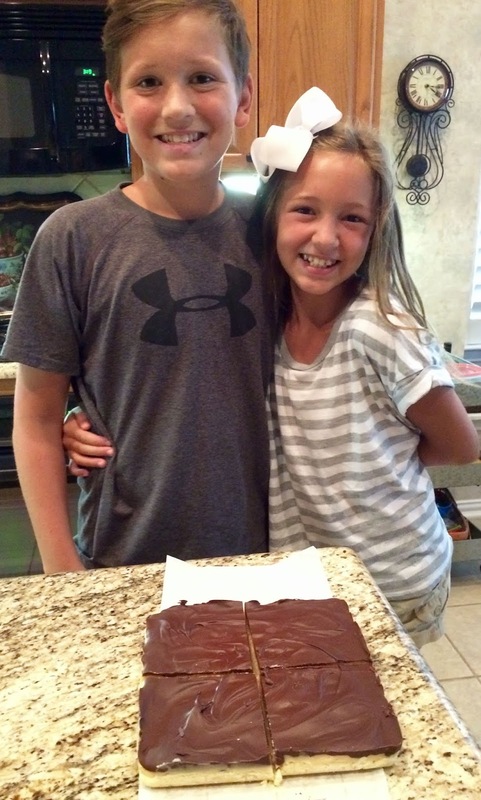 Your Millionaire Bars look amazing and those kids are growing up to fast! I sure hope that you and yours are staying cool in this heat we are having. So hope we get some rain today! Thanks so much for sharing with us at Full Plate Thursday and sure hope you have a great week!